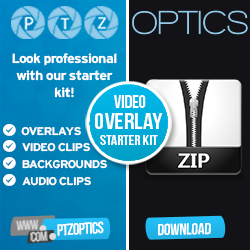 You’ve just purchased your PTZOptics NDI|HX Cameras. YAY! The fun, however, doesn’t end there. It’s important to have the proper network switch, to ensure smooth performance and optimization with your new system. In this presentation, we’ll guide you through what to consider when looking at an NewTek NDI friendly switch. There a lot of considerations that you need to take into account when you are setting up a IP based video production system because everything leverages your network switch. In this video, we break down all the common considerations network engineers are thinking about when they are building a local area network for video production. When we talk about IP-Based video production we are commonly referring to video sources made available for software based switcher like Wirecast, xSplit, OBS or vMix. When you are selecting a network switch to be used for the NewTek NDI we highly suggest considering a switch that meets all of the following requirements. You may want to setup a dedicated network switch just for your IP video sources especially if this is the first IP based video production system you have ever setup. Managed switches are great but the settings need to be tweaked to accomodate low latency IP based video for production. You can use almost any Gigabit managed switch that meets the requirements above but you will also have to disable a few settings and enable Flow Control as Asymmetrical. Confining your NDI® workflow to a dedicated or uncontended network is highly recommended for management, reliability, and troubleshooting purposes—especially if migrating to an IP workflow for the first time.